Taken with fujichrome velvia film with a canon F1, all manual, breathing from a regulator, Solomon Islands. I still miss the latitude film provides to the photographer in terms of color saturation and dynamic range. 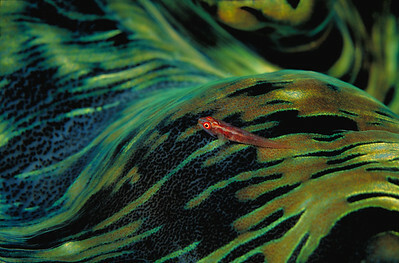 a fire goby rests near a predictable food source: the mouth of a tridacna clam, Palau, fujichrome velvia. 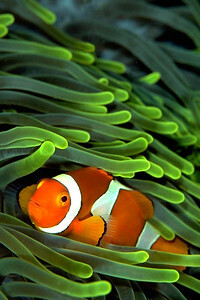 a clownfish rests amidst the nematocyst laden tentacles of an anemone, found on top of a rock spire at about 80 feet of depth, solomon islands. 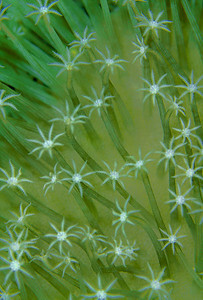 "Little trees" - actually this is a closeup of leather coral shot with a 100mm in a housing, Canon F1, fujichrome velvia. SOlomon Islands. 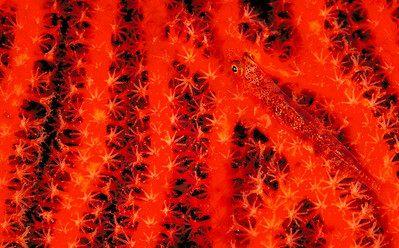 A fire goby, about an inch long, disguises itself on an orange gorgonian soft coral, at night in the Solomon Islands, a scan from fujichrome velvia, the best film ever made. 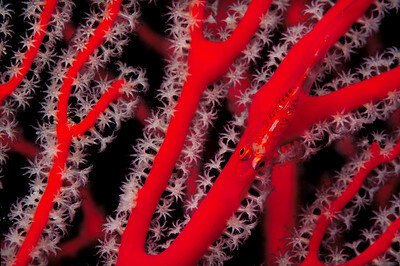 A fire goby, about an inch long, disguises itself on a gorgonian coral, night diving in the Solomon Islands. 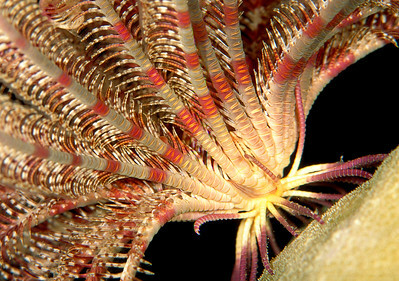 a Crinoid ventures out onto a hard coral substrate at night, in search of invertebrates for a meal. Fujichrome velvia, Solomon Islands. 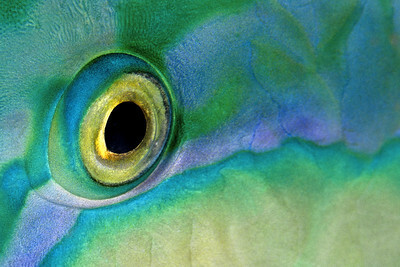 A parrotfish sleeps with its eyes open - photographed at night, and before this beautiful reef-eater had formed its 'cocoon', the detail of its scale coloration is shown. I don't make photos like this any longer - because i can't be convinced that the parrotfish is unharmed by this type of interaction. Fujichrome velvia, 50 ISO, canon F1 100 macro.